Sorting Algorithms are very difficult to understand. 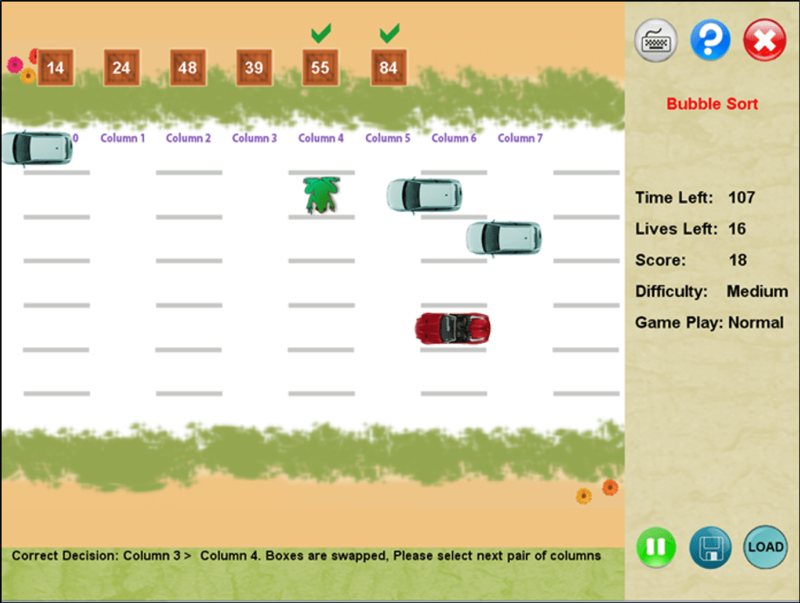 With the help of this game one can understand the fundamental principles of Bubble and Bucket Sorting algorithms. 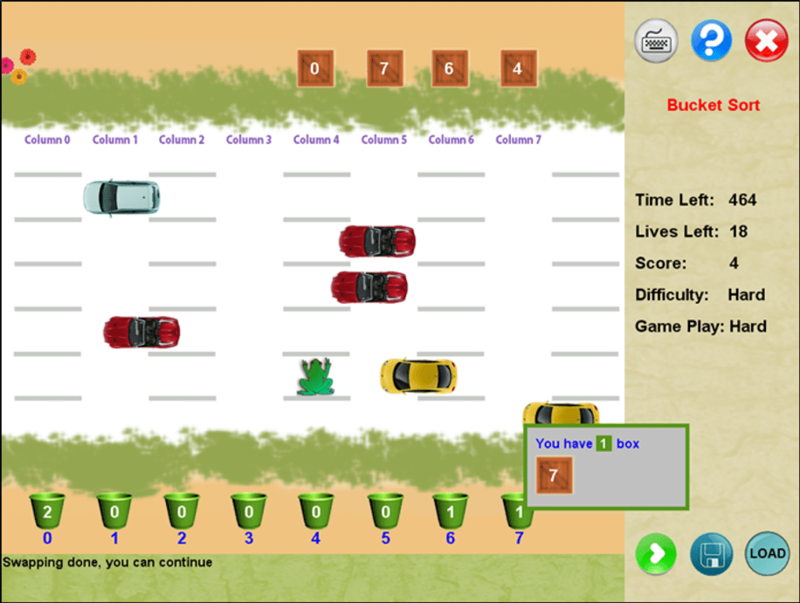 This game is based on the famous game ‘Frogger’, were the student has to collect boxes and sort them according their values by using sorting algorithms rules. This game has been developed using Microsoft XNA and can be installed freely on any PC that is running Windows. One must not make any profit on such content.